We understand that some schools and districts use MDM solutions to provision and deploy applications for iPads. Since we do not have a "ThinkCERCA" app available on the Apple App Store at this moment, one way to add it to your iPad using Jamf is to create a "Web Clip". On the left menu, select "Configuration Profiles" and then click "+ New". 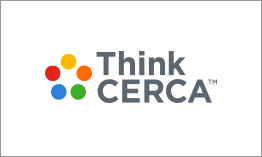 In the first field on the General tab (Name) you can input what you like, but we recommend that you write "ThinkCERCA Web Clip". You can add a description if you'd like. Next, scroll down on the left panel until you've reached "Web Clips" and select it. Important Step: Under URL, input this link learn.thinkcerca.com/ Make sure to input the link properly or the Web Clip will not work. You can also upload a custom logo and make the Web Clip displayed "Full Screen" on the iPad. Once done, save your profile and you are now ready to upload into your devices. You can download our logo HERE to use for the Web Clip.